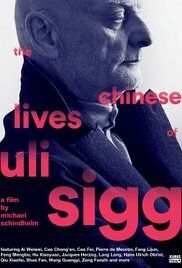 Starting with the development of the first joint venture between a Western company and China, initiated by the Schindler Group, the documentary traces the relationship between Uli Sigg and the Chinese society art throughout his careers. Further steps were his appointment as the Swiss ambassador in Beijing, his return to Switzerland and his latest cooperation with the M+ museum in Hong Kong. The connection between Sigg and the transformations of the Chinese art scene are depicted by its protagonist, namely Wang Guangyi, Fang Lijun and Ai Weiwei – alongside Uli Sigg he has already been part of the documentary Bird's Nest – Herzog & de Meuron in China, directed by Michael Schindhelm and Christoph Schaub. Alongside archival material the protagonist provide an insight to the ongoing complex relationship between state and art. Read more on Wikipedia.